Sea of Green Gardening provides a complete fine gardening experience, offering design, installation, and a wide variety of maintenance services. Sea of Green Gardening approaches each outdoor space with this understanding, forging personal designs from the living landscape. We use the highest quality plants, organic fertilizers, and compost in order to provide you with a healthy garden that will continue to improve over time. Choosing to make an investment in a well-designed garden is tremendously rewarding. Not only does the garden aid in your personal well-being, it increases your property value. 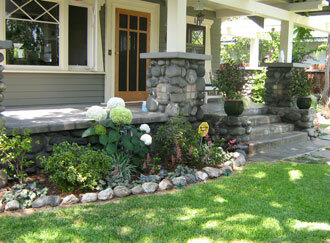 A beautiful garden designed especially for you and your property takes time and care. With this in mind, our goal is to create a unique garden that enhances your home and your life.